The Argo data set — collected from a global network of 3000 profiling floats — provides the first opportunity to investigate sub-surface ocean circulation. Since 2000, data from more than 6000 Argo floats has been collected worldwide, generating around 800,000 profiles. Argo floats descend to a depth of 1500 to 2000 metres, typically, and drift at this depth for nine days before rising to the surface. During the ascent a temperature and salinity profile is collected. These data are then transmitted via satellite before the float starts another cycle. 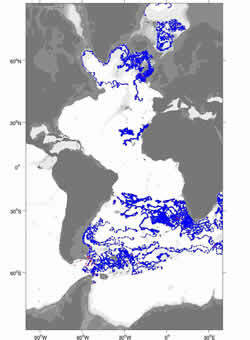 To address this, the ANDRO Atlas aims to produce a reliable global atlas of Argo ocean sub-surface trajectories. ANDRO is led by Michel Ollitrault (Ifremer, France) with much of the analysis conducted by Jean-Philippe Rannou from the French company Altran. The Atlas covers 10 years of Argo data spanning 1999 to 2009 and, funding permitting, will include data from all Argo participant countries. Once complete it will be an unprecedented database of direct and absolute measurements of the ocean circulation down to a depth of 2000 metres. The British Oceanographic Data Centre (BODC), the Data Assembly Centre (DAC) for Argo floats from the UK, Ireland, Mauritius and Saudi Arabia, submitted more than 30,000 raw data profiles from over 300 floats to ANDRO in late 2010. Analysis of these data is now complete and they have contributed to the Atlas in the North Atlantic, South Atlantic, Indian and Southern oceans. 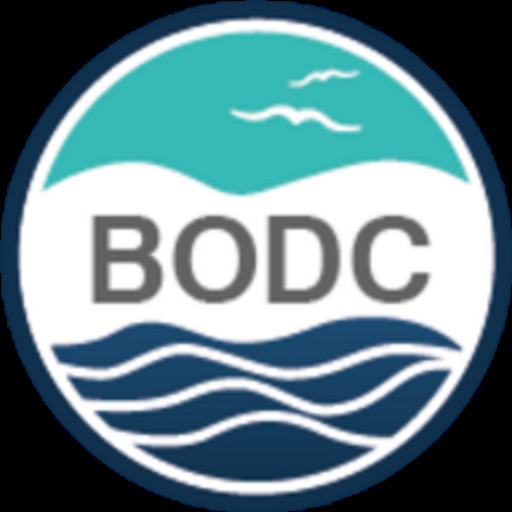 Feedback from the data analysis, primarily relating to the inconsistent metadata standards, will be used by BODC over the coming year to improve the quality and scientific value of the BODC-hosted Argo float data. It is also anticipated that the feedback will form the basis for the development of new standard practices within the global Argo community.